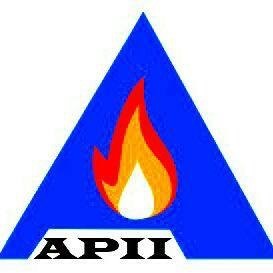 Forming the Indonesian Professional Incinerator Manufacturer Association. During last second quarter of 2018, the board of founder have involved extensively in the forming of the Indonesian Professional Incinerator Manufacturer Association. The association have managed to be formed and registered under the governing law of Indonesia and is fully supported by related government ministry such as Ministry of Forestry and Environment, Ministry of Health, LKPP, etc. The Indonesian Incinerator Manufacturer Association which was called as Perkumpulan Produsen Insinerator Indonesia (PPI Indonesia) which was formed on 4th of April 2018 and have fully agreed to choose Mr. Rudy Indra Wardhana of PT. Hasakona – Bandung as chairman of the association. The association is now undergoes legal registration and coordination between the member and the organizer to consolidate it’s vision and mission in order to reach the milestone of success to be part of the partner with all stake holder in creating a better support for the government and customer in the future for all related incinerator and wast water treatment plant product which mostly made in Indonesia. All board of member and founder is honoured to be a part of the founder and organizer for the association and will contribute our best to the development of the association and we wish all the best to all founder, organizer and member of APII Association in the future.